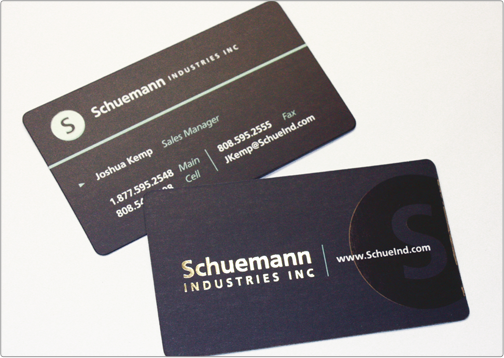 The Schuemann Industries silk business card provides a professional and corporate image with a classy touch. The card is stamped with decorative silver foil, spot gloss, and contains rounded corners. 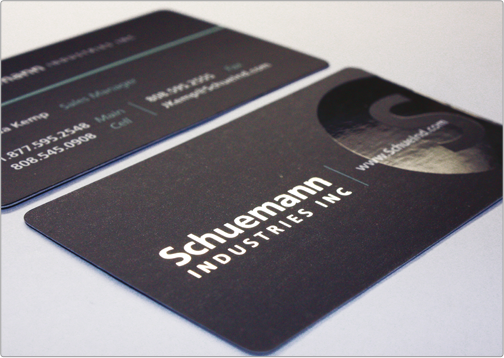 Specs: standard cut 16pt silk bc/ spot gloss 2 sides/ silver foil 1 side/ 6mm rounded corners.